Two weeks in Thailand. Bucket list time. Visit Ayutthaya, the ancient capital of Siam (now Thailand). Built in 1351, it was the most populated city on the planet when it was sacked by the Burmese in the late 1700's. Bigger than London!! Only a short distance from our hotel in Bangkok, take a walk thru history and see the ancient Buddhist temples. Take a guided tour of the street food in Bangkok. So delicious! Ride an elephant at one of the elephant sanctuaries, where retired elephants are well cared for. Take a walk from our hotel to Khosan Road - the famous pedestrian shopping street. Take a tour of the Palace. Rent motorbikes on Ko Lanta for about $5 per day and tour the island. 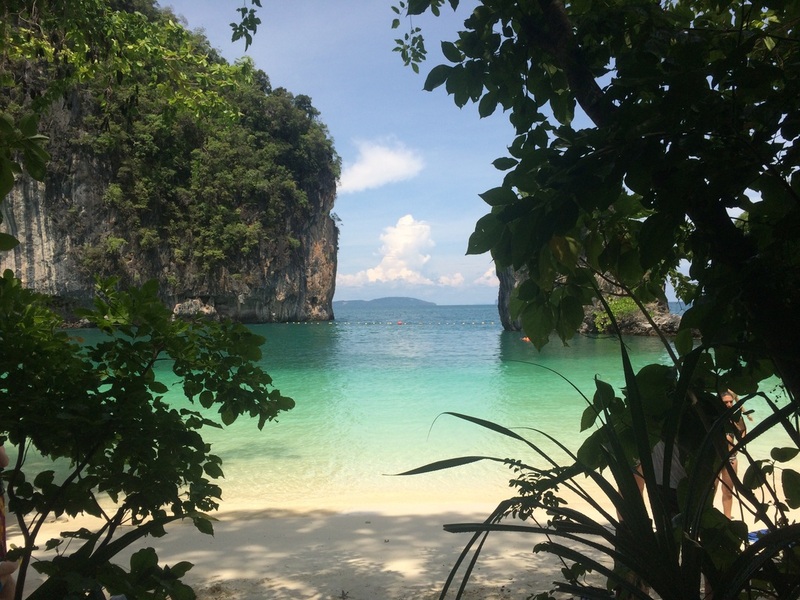 Scuba dive Ko Phi Phi, one of the highest rated dive sites in the world. Take a day trip snorkeling and visiting the outlying islands... an idyllic paradise. Take a Thai cooking class at our hotel on the beach. Relax in the natural pools in the volcanic heated river. Sooo relaxing. ​We will spend 5 nights in Bangkok at the Navalai River Resort right at a ferry stop on the Chao Phraya river with close proximity to most major sights in downtown Bangkok, and another 6 nights on the beach on the island of Ko Lanta in the Andaman Sea. The suggestions in the itinerary are just that... suggestions. We will schedule some group tours but most of the time will be leisure time for you to do or see whatever you like. Arrive in Doha 6:00am, transfer to Qatar flight 832 leaving Doha 8:35am and arriving in Bangkok 7:00pm. Transfer to the Navalai River Resort where we will spend the next 5 nights. Breakfast at Hotel. Overnight in the Navalai River Resort. Suggest: Take a ferry ride from our hotel and visit The Temple of Dawn (Wat Arun) on the west bank of the Chao Phraya in the old city. Relax in the rooftop pool at the hotel. Breakfast at Hotel. Overnight in the Navalai River Resort. 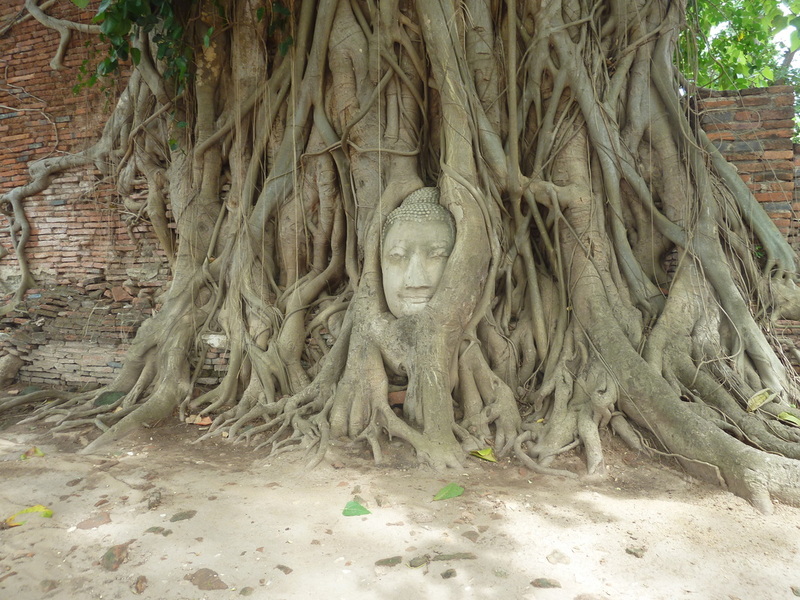 Suggest: Daytrip to Ayuthaya, the ancient ruined capital of Siam. Night time visit to the Brick Bar. Breakfast at Hotel. Overnight in the Navalai River Resort. 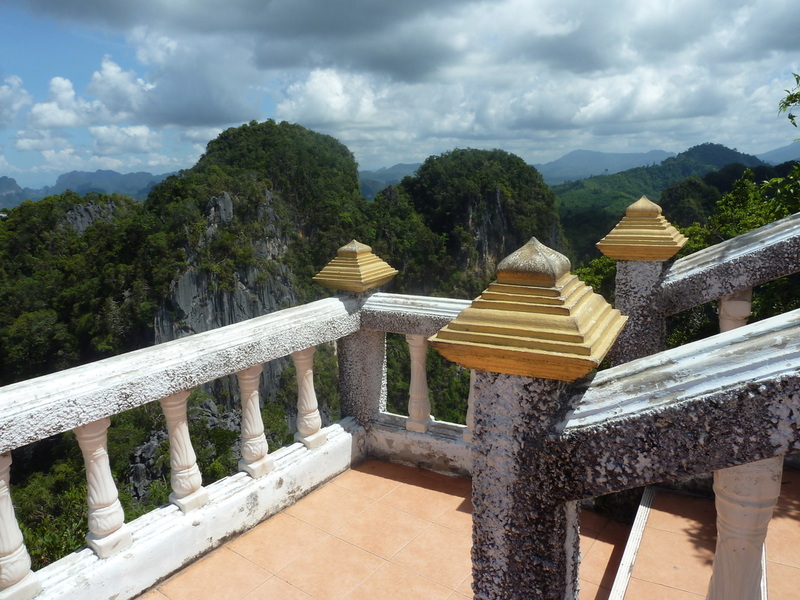 Suggest: A visit to the Grand Palace. 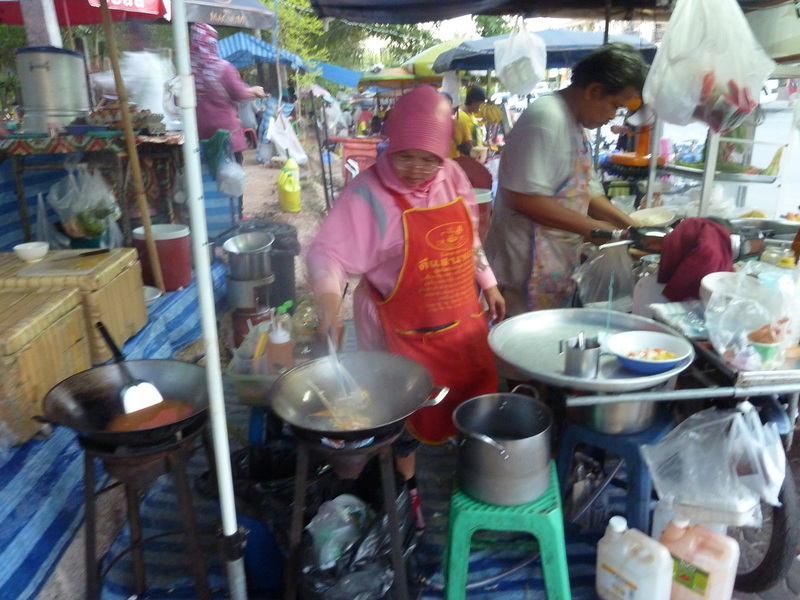 A walking tour of the streetfood markets. Visit some of the ancient temples. Breakfast at Hotel, Overnight in the Navalai River Resort. Suggest: Thai massage in a spa. Shopping on Khaosan Road, just outside our hotel. Take a boat tour on the Chao Phraya River. Breakfast at Hotel. Transfer to airport for our short 1 hour 1:15pm flight to Krabi. Transfer by private bus to the Phra Nang Lanta on the beach on the island of Ko Lanta where we will stay for 6 nights. Breakfast at Hotel. Overnight in the Phra Nang Lanta. 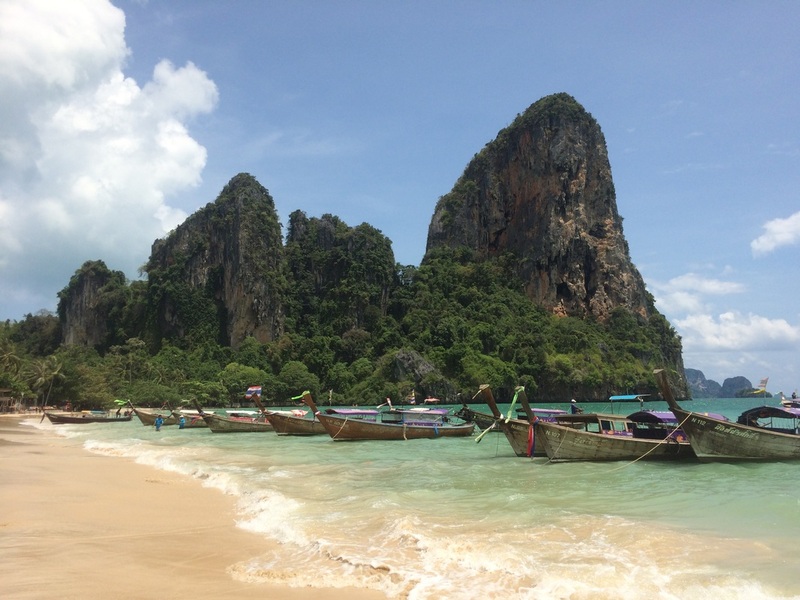 Suggest : Rent a motorbike and explore the 14 mile long island of Ko Lanta. Ride an elephant. Breakfast at Hotel. Overnight in the Phra Nang Lanta. Suggest: Lounge at the beachside pool. Go scuba diving on the nearby dive spots of Hin Daeng, Hin Muang and Ko Haa. At night walk next door to dance and sing the night away. Breakfast at Hotel. Overnight in the Phra Nang Lanta. Suggest: Feed the elephants. Visit the Mu Ko Lanta National Marine Park on the southern tip of the island. Breakfast at Hotel. Overnight in the Phra Nang Lanta. Suggest: Thai cooking class and a visit to the local market. Take a snorkeling trip to nearby islands. Breakfast at Hotel. 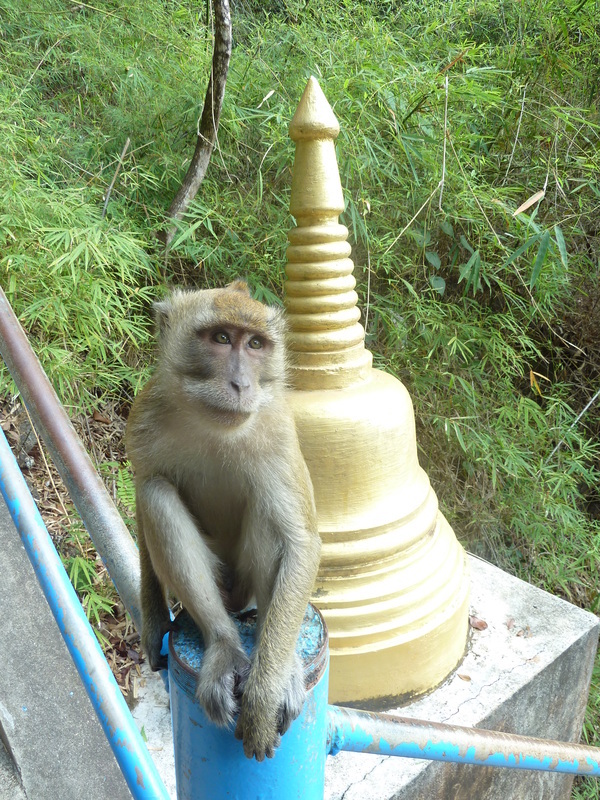 Overnight in the Phra Nang Lanta. Suggest: Visit the sister resort of Wareek, a natural hot spring destination spa. Transfer to Qatar flight 703 leaving Doha 1:55am and arriving JFK at 9:15am. We should be home early afternoon. We will all pitch in for a private bus round trip between Easton and JFK. Cost approx $65.